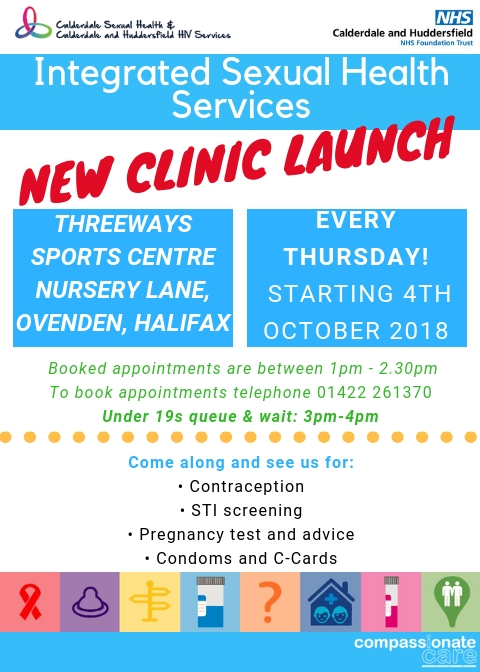 The Integrated Sexual Services of Calderdale Sexual Health and Calderdale and Huddersfield HIV Services are launching a new clinic at Threeways Sports Centre, Nursery Lane, Ovenden every Thursday starting 4 October. To book an appointment between 1:00pm and 2:30pm call 01422 261370. Under 19s can queue and wait 3:00pm-4:00pm.